Train is the best way to move in the Cinque Terre. The service, that serves all the Cinque Terre villages from La Spezia to Levanto, is called Cinque Terre Express. Schedule is visible on trenitalia.com. At the moment no updates yet for Spring Summer 2017. Visitors to the area are constantly growing, especially day trippers coming from cruise ships mooring in La Spezia. In 2016 Regione Liguria and Trenitalia tried to improve the train service to the famous five villages adding a number of extra trains and scheduling trains departure from La Spezia to Levanto every 30 minutes during peak hours. They called it Cinque Terre Express. As soon as Trenitalia will publish Train Schedule for Spring – Summer 2017, we will show them on our website. Sorry for the inconvenience. But do not be discouraged, visit this page again! You can see the trains are serving the area are a lot, but since the tracks running along the coastline are just 2, well, sometimes a train is cancelled and other trains, due to the crowd jumping on and off, delay their departure. So delays on the line are expected. If you have connections or flights to catch consider to leave with a large advantage of time. The effectiveness of this service organization is yet to be proved, since it started mid-April 2016. 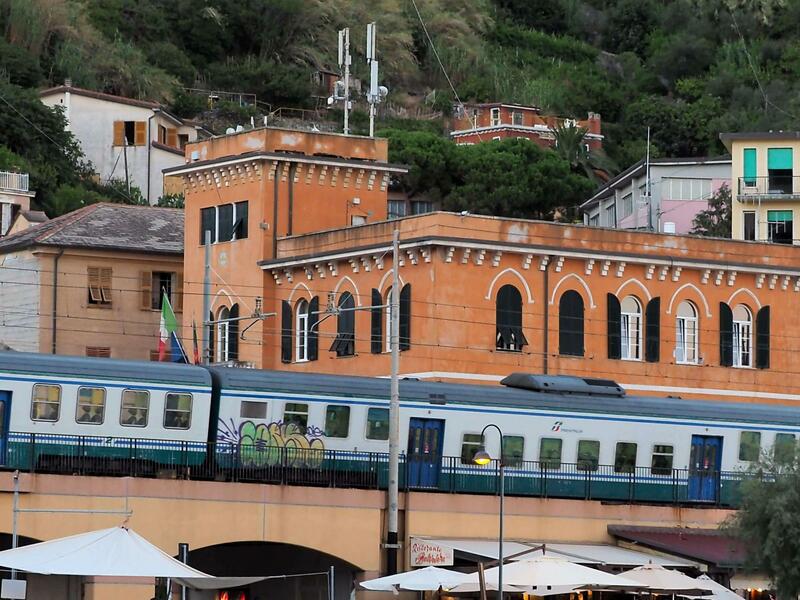 Against an increased number of trains serving the Cinque Terre villages from la Spezia and Levanto, we see a fragmentation of the coastal route. Passenger traveling to Genoa, for instance, are now asked to face now longer trips to reach the Ligurian capital, not to speak to reach Milan or Turin. When departing from Vernazza or Manarola they have to stop in Levanto, then in Sestri Levante and then, hopefully, they can reach Genoa. But the area is not easy and we all hope that all eventual issues with our train service won’t change your opinion on the Cinque Terre, one of the most amazing places on earth!